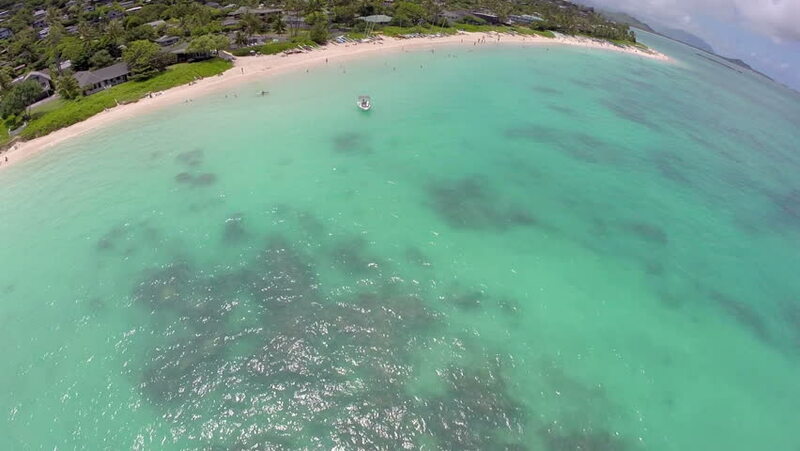 Aerial view of Lanikai beach on Oahu in Hawaii. Swimmers play in the blue waters as a boat sits idle. Aerial view of the two offshore islands.